Welcome to Orchard Street! 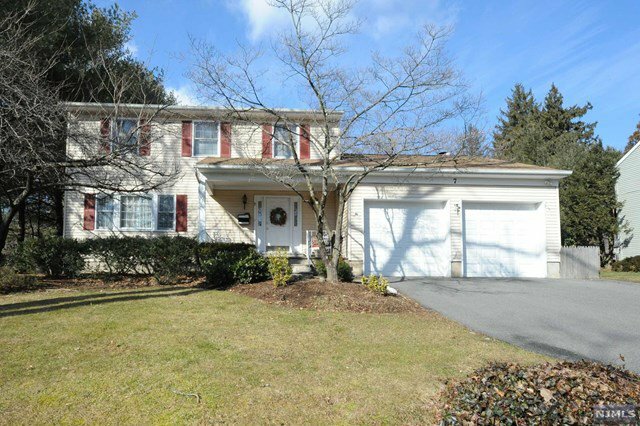 This beautifully maintained colonial home is ready for the new owners to move right in. The first floor features an entry foyer opening to a formal living room with hardwood flooring. A handsome formal dining room is finished with beautiful trim detail. The kitchen has ample space with abundant cabinetry and a dine-in area with sliding glass doors opening to the large deck. Relax after a long day in the cozy family room with a gas fireplace and sliders out to the deck. Upstairs boasts a large master bedroom suite with a walk-in closet, master bath and dressing room/4th bedroom. Two additional bedrooms, a full bath and laundry complete the second floor. Other features include a full finished basement with a separate utility and storage space, a two-car garage, a large deck, close to NYC public transportation and so much more. Do not miss this wonderful opportunity.